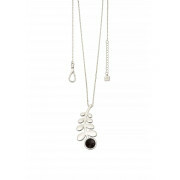 Simple yet elegant, this Orla Kiely long pendant is the perfect accessory for any day or night time look. 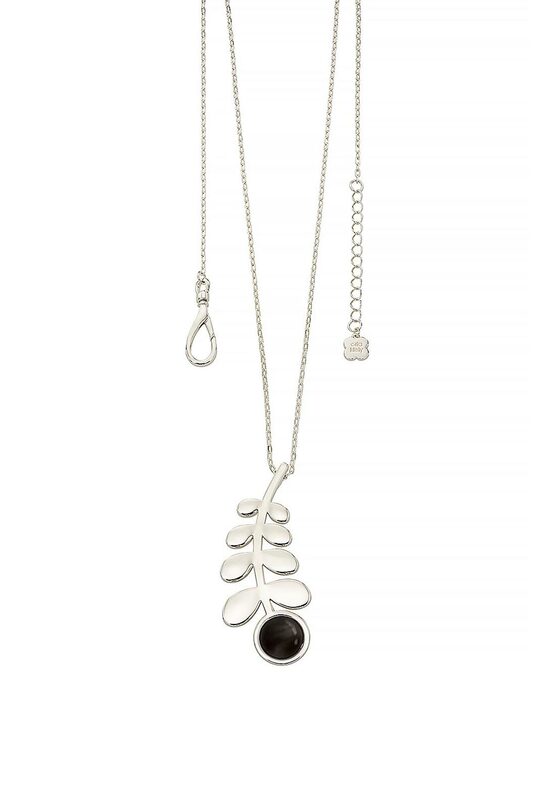 A lobster closure clasp accentuates the iconic sterling silver plated stem detailing on this necklace. An eye-catching black pietersite stone effect completes this piece.